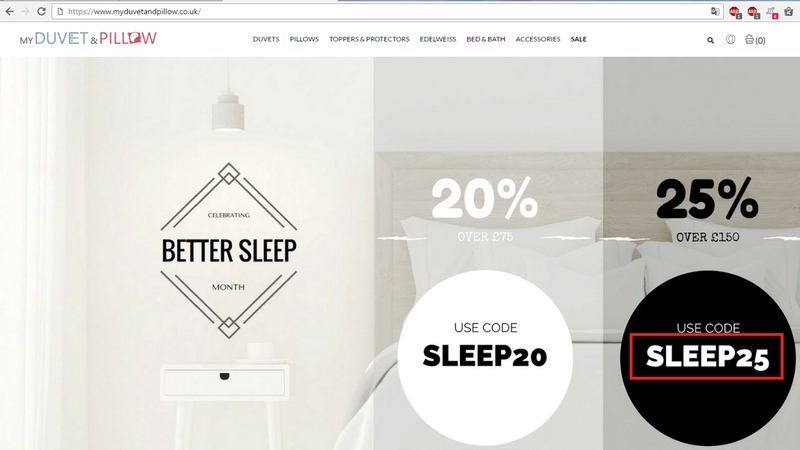 Manuel Apply the promo code SLEEP25 and you can get 25% off on your next order of Duvets and Bed Linen at myduvetandpillow. Simon Landaeta Select items, spend £150 and enter the code at checkout to get the discount. This deal was verified and it is working as described.